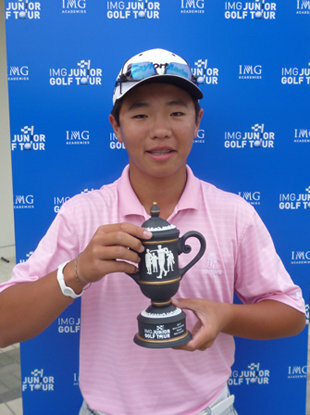 Orlando, Fla. – Reunion Resort, part of Salamander’s Grand Golf Resorts of Florida collection, honors its member and 14-year-old golf prodigy, Andy Zhang, for making history. 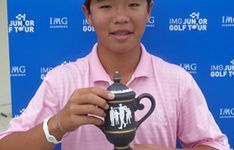 As the youngest participant in the history of the U.S. Open Golf Championship, Reunion Resort will offer a special nightly rate equivalent to Zhang’s combined score over his first 36 holes. After the conclusion of the tournament on Sunday, June 17 and lasting for two weeks, guests can book a one-bedroom villa at the resort at the special nightly rate. For example, if Zhang shoots rounds of 72 and 73, the rate will be $145. The offer is subject to availability, and not applicable to groups or previously booked reservations. To make reservations, call (877) 863-6438. Zhang and his family are members of Reunion Resort in the Orlando area, which is the only resort in the United States that boasts courses designed by Jack Nicklaus, Arnold Palmer and Tom Watson. For more information about Reunion Resort, please visit www.ReunionResort.com.